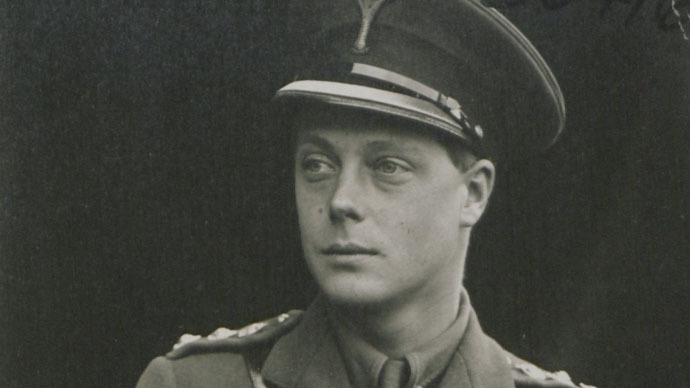 Edward VIII wanted Britain to be bombed into an alliance with the Third Reich and blamed “Jews and Reds” for World War II, according to a prominent academic. The research, carried out by UK-based German historian Karina Urbach, delved into the historical archives of 30 nations, including Germany, Spain and Russia, revealing the fascist sympathies of many European aristocrats. “The Royal Archives have always ensured that letters from German relatives of the royal family in the run up to World War II remain closed. However, over nearly a decade of painstaking research in European archives, Urbach turned up vital evidence into the secret political lives of pro-fascist aristocrats. “I have accumulated damning evidence by sifting through 30 archives all over the world that are open,” Urbach wrote. A key portion of the research deals with the relationship between the Duke of Windsor and a trusted German relative, Charles Edward Duke of Coburg – a bitterly anti-Semitic minor German aristocrat who acted as a messenger, it is claimed, between privileged fascists around Europe. Meetings between Coburg and British royals are even listed in the Court Circular, a record of the British monarchy’s meetings and appointments. Further evidence was found in the Spanish archives. “In June 1940 Don Javier Bermejillo, a Spanish diplomat and old friend of Windsor – he had known him since the 1920s – reported a conversation he had had with the Duke to his superiors,” Urbach said. The diplomat says he had heard the embittered duke blame “the Jews, the Reds and the Foreign Office” for the approaching war, long before it began. Windsor wanted to put politicians, including Anthony Eden, “up against a wall,” Urbach claims. Perhaps most troublingly, the records hint at a possible correlation between the Duke’s fascist leanings and the start of the German bombing campaign against Britain. “In another conversation on June 25, 1940,” Urbach writes, “Bermejillo reported that Windsor stressed if one bombed England effectively this could bring peace. “The bombing of Britain started on 10 July,” she added.